We recently took a trip to the bay area. We may or may not have been obsessed with taking selfies. The ones I posted below aren't even all of them. Kept going in wine country (Ledson Winery in Sonoma Valley). 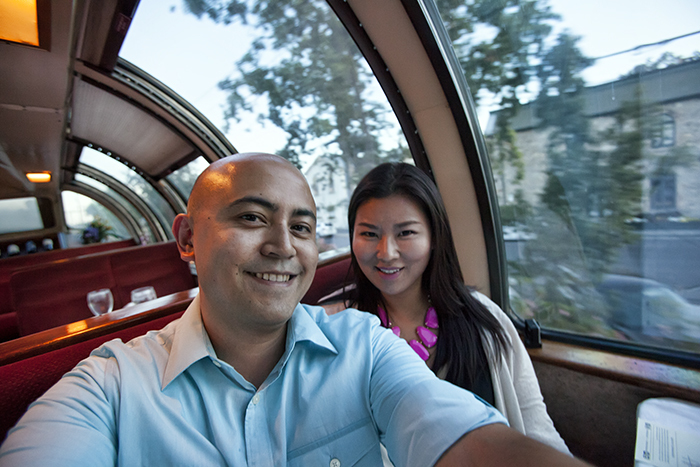 Lingered as we enjoyed our dinner in the Vista Dome car on the Napa Valley Wine Train. And concluded with our visit to the famous Chateau Montelena Winery in Calistoga.